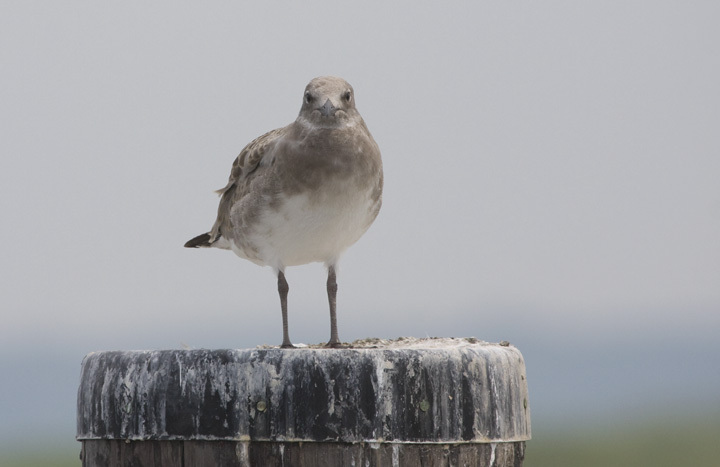 Eastern Shore of Maryland and some newly added older images. Last Updated: 7/28/2008. 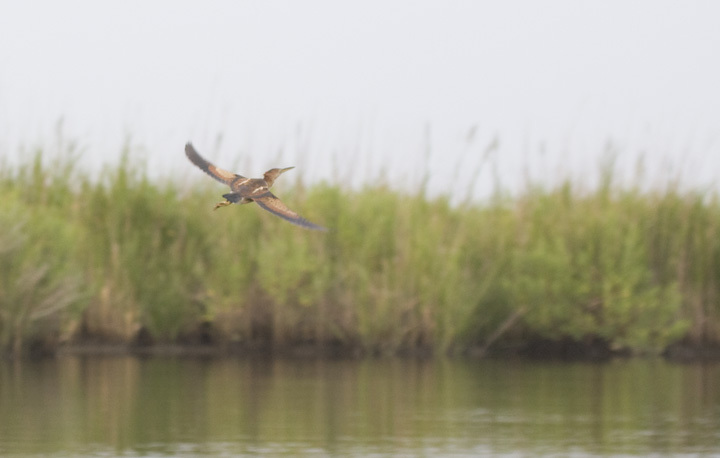 Above and below: Close-up views of Least Bitterns were a real highlight of kayaking Ellis Bay WMA in Wicomico Co., Maryland this weekend (7/27/2008). 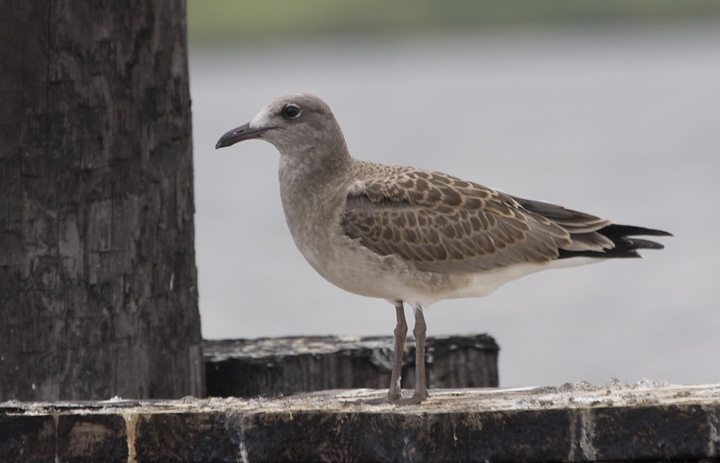 Below three: While crossing the Wicomico River on the Whitehaven Ferry, we noted our first three juvenile Laughing Gulls of the year (7/27/2008). 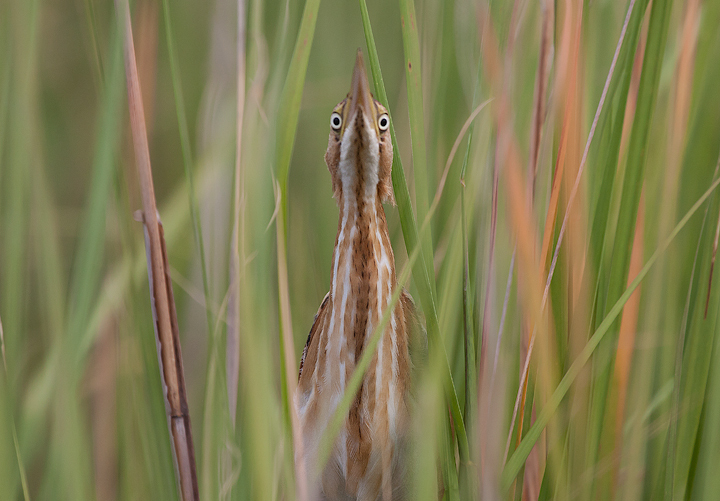 This one appears to be managing to get by. 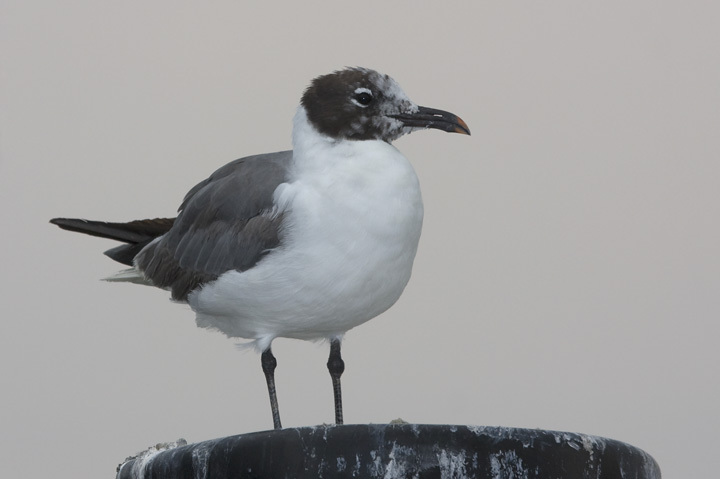 Below: An adult Laughing Gull along the Wicomico River, Maryland (7/27/2008). 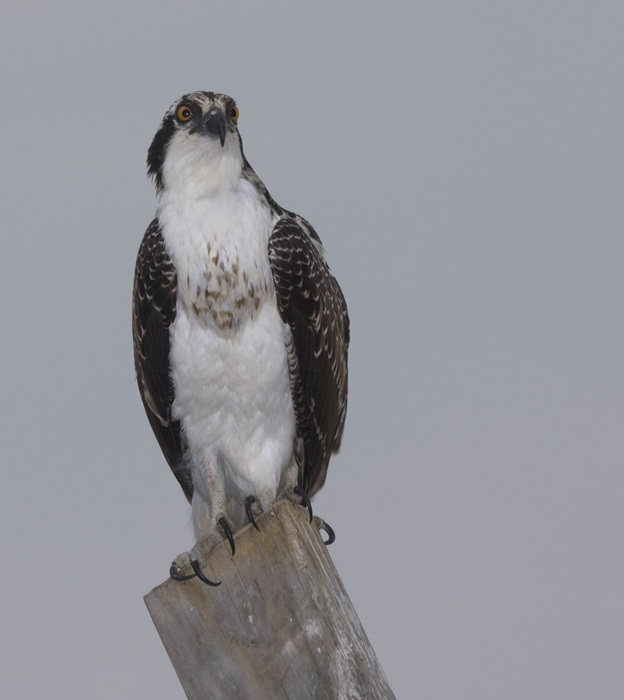 Below: An Osprey oversees operations at the Whitehaven Ferry, Maryland (7/27/2008). 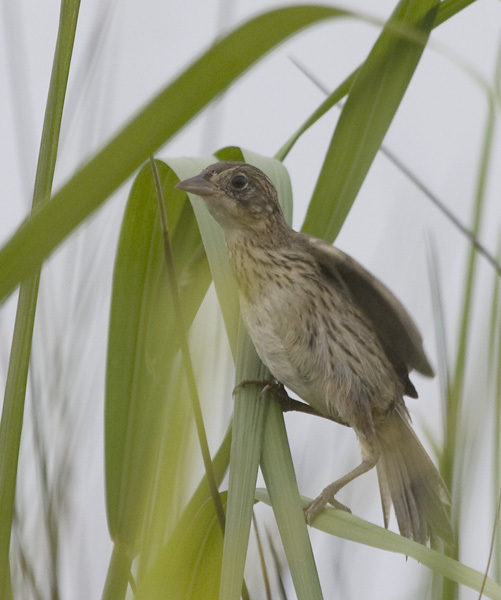 Below: A juvenile Seaside Sparrow at Ellis Bay WMA, Maryland (7/27/2008). Note the streaky breast pattern. 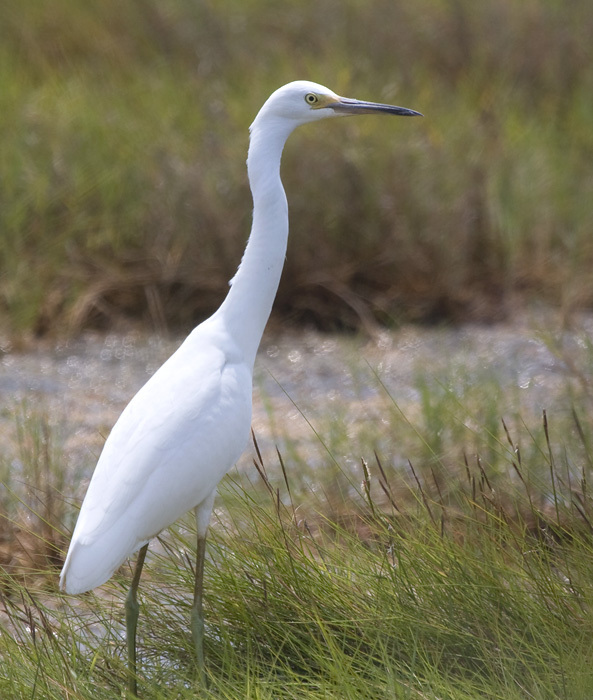 Below: A juvenile Snowy Egret at Deal Island, Maryland (7/27/2008). 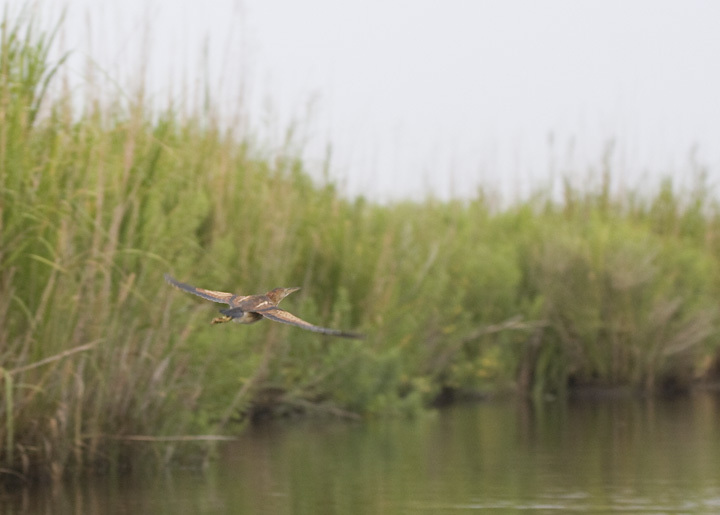 Note the leg color, very fresh plumage, and lack of plumes. 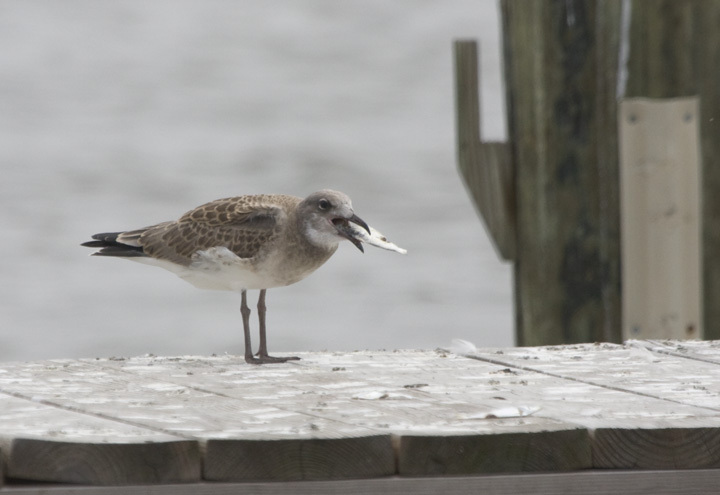 Below: An adult Herring Gull poses for a joke snapshot. 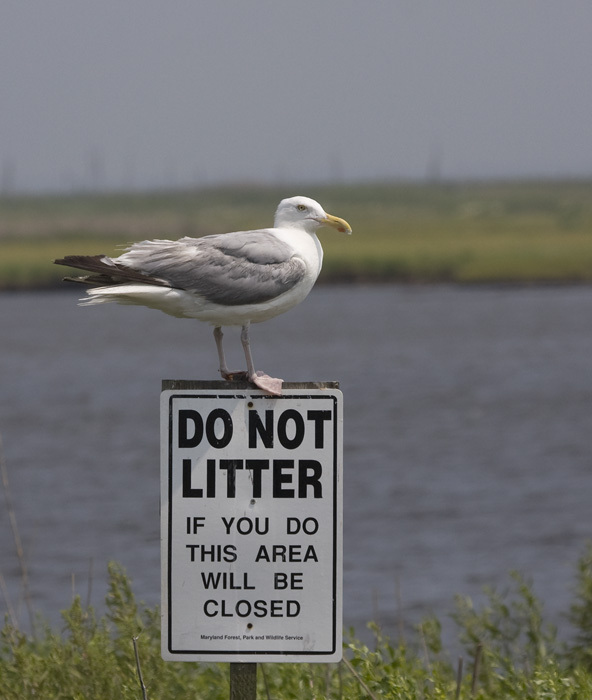 He would love to see more littering at the park. 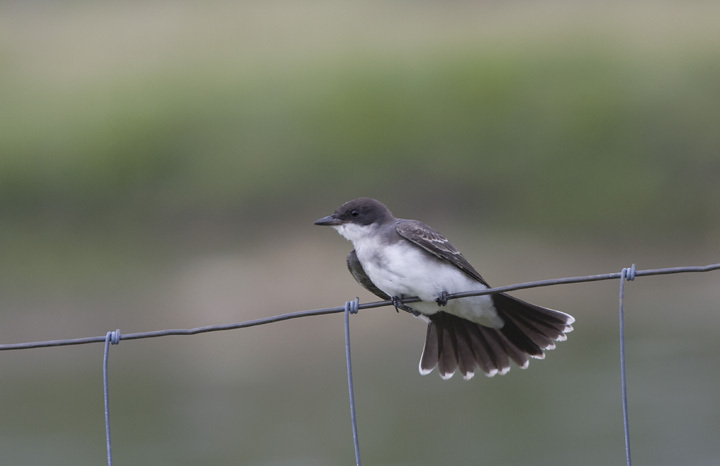 Below: An Eastern Kingbird works its fenceline bug-hunting beat in Somerset Co., Maryland (7/27/2008). 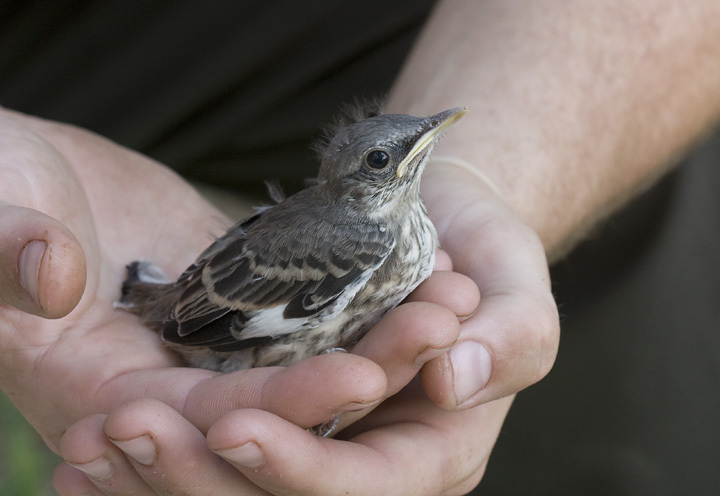 Below: Fort Smallwood's Ranger Matt Grey poses a nestling Northern Mockingbird en route to finding foster care (7/27/2008). 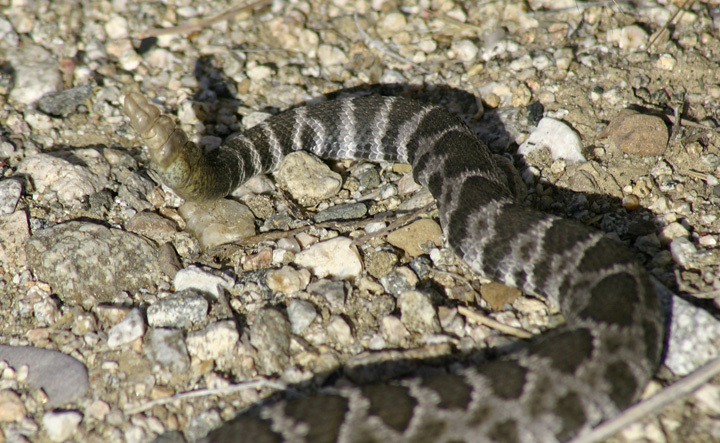 Some additions from the archives--Southern California and Oaxaca, Mexico. 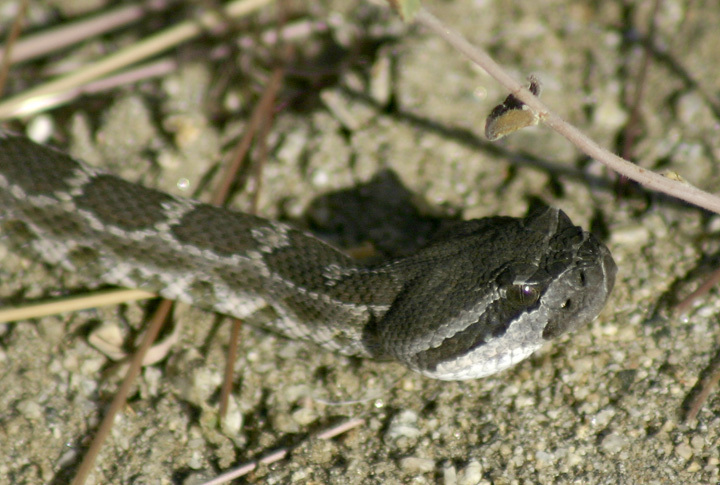 Below two: A Southern Pacific Rattlesnake in southern California (5/28/2004). 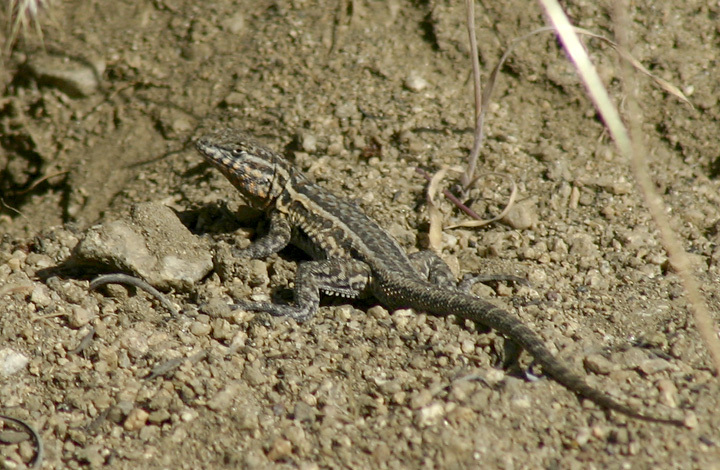 Below two: Side-blotched Lizards in southern California (5/28/2004). 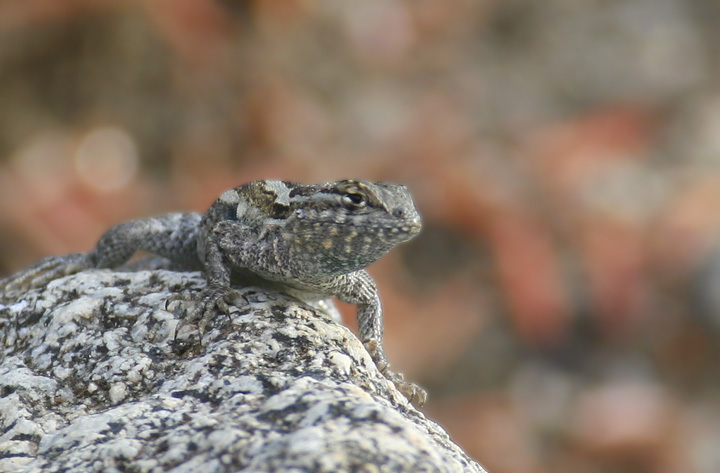 I recently re-organized my Reptiles and Amphibians section and ordered species by taxonomy, which led to me digging up some older photos. 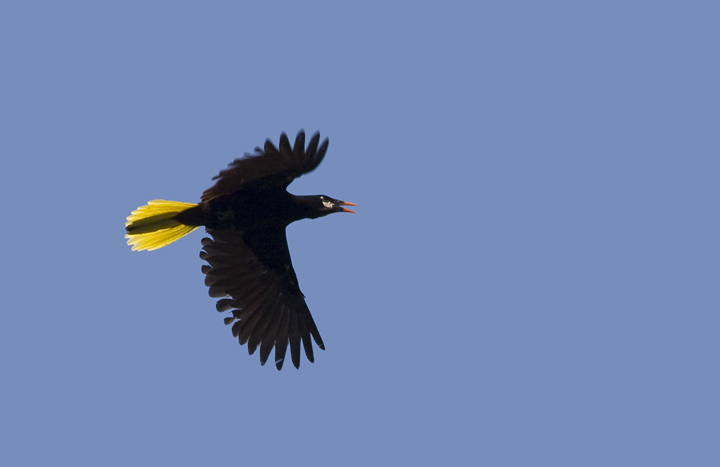 Below: A Montezuma Oropendola, one of my favorite birds, in flight west of Tuxtepec, Mexico (3/2008). 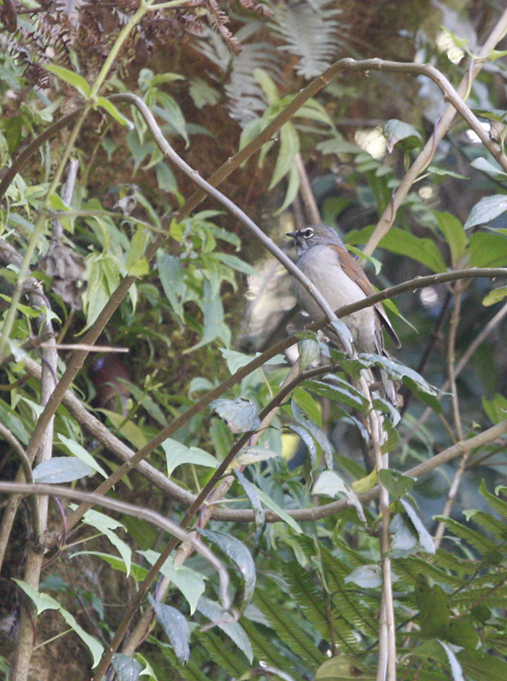 Below: Despite much enjoyment of the Brown-backed Solitaire's song, we had precious few glimpses of the species (3/2008). 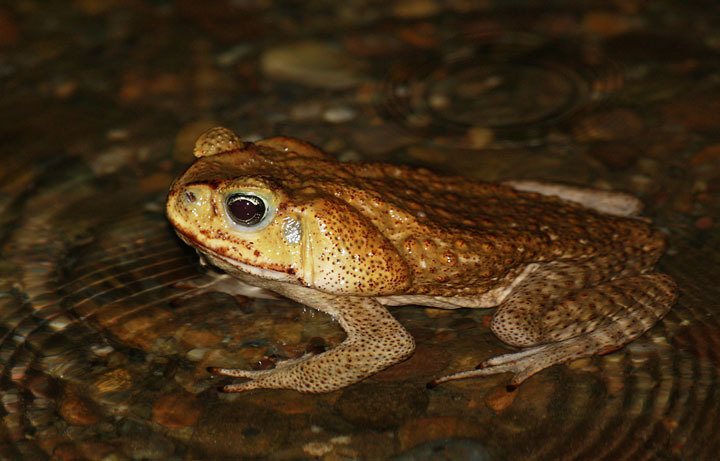 Below: A huge Marine Toad (aka Cane Toad or Giant Toad) along the Rio Papaloapan near Valle Nacional, Mexico (3/2008). 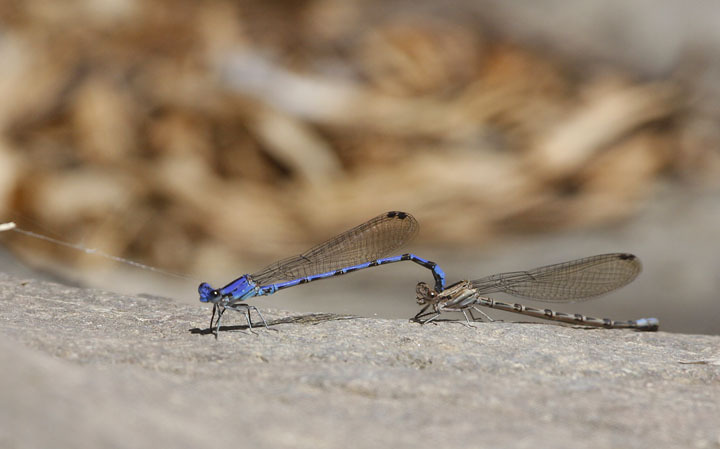 Below: A pair of damselflies in Oaxaca, Mexico (3/2008). 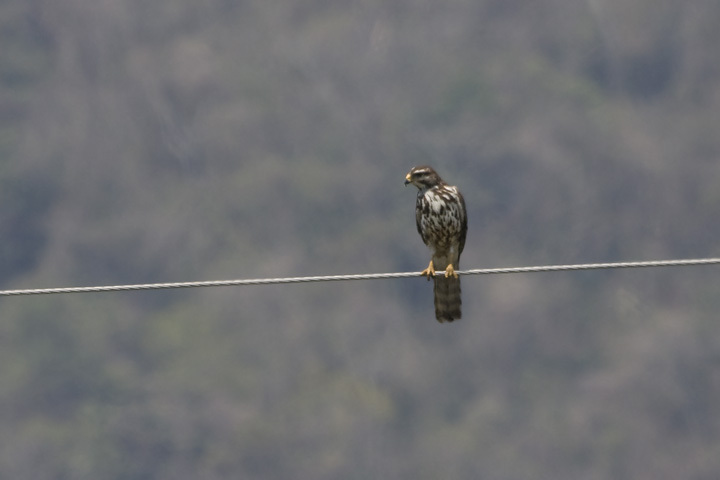 Below: An immature Gray Hawk in Oaxaca, Mexico (3/2008). 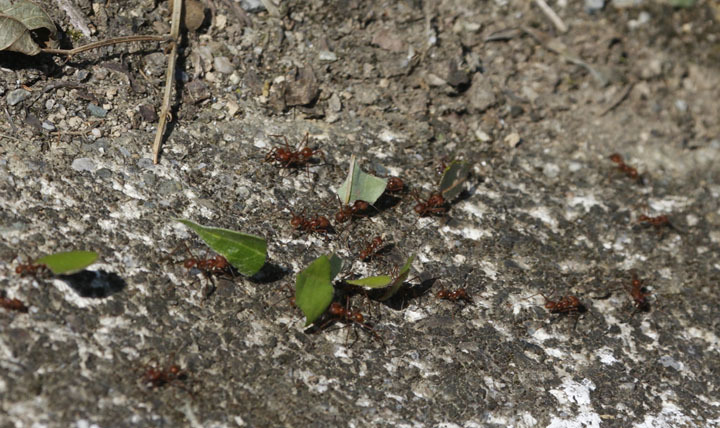 Below: Leaf-cutter Ants at work in Oaxaca, Mexico (3/2008). 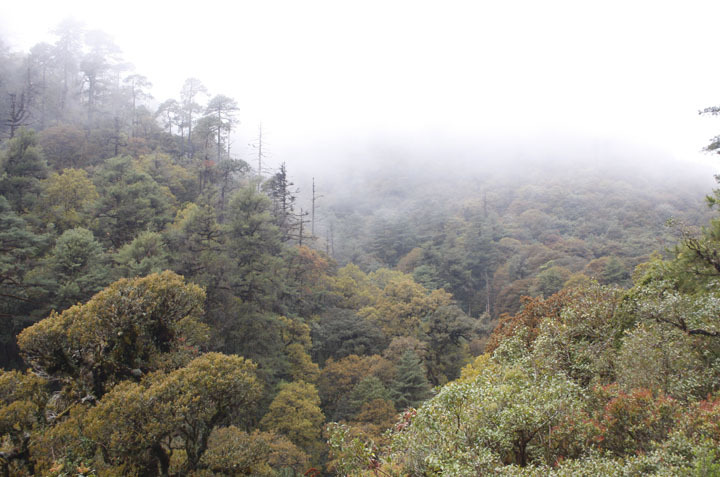 Below: Landscapes such as this one near Tuxtepec host higher-elevation specialties such as Unicolored Jay. 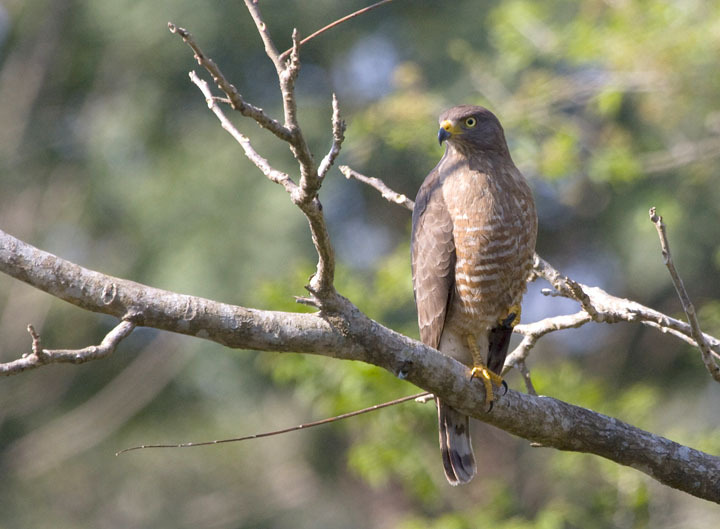 Below: A Roadside Hawk near San Pedro Ixcatlan (3/2008).